Indian automotive portal Motoroids has done a good job by spotting the much awaited Honda CBR650 bike in the Indore dealership. 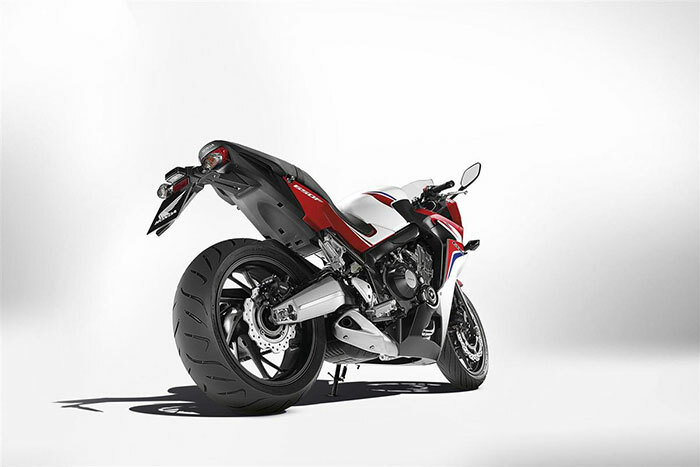 This heavy weight bike – CBR 650F is a dream bike for many of Honda Sports bike enthusiasts. The arrival of bike in India’s Indore dealership confirms that the launch can happen anytime soon – probably next month! Earlier this Honda motorcycle was spotted testing at International Buddh Circuit in Delhi, in almost production ready form. Mr Yadvinder S Guleria who is the Senior Vice President of Sales and Marketing at HMSI (Honda Motorcycles and Scooters India) had confirmed that the Honda CBR650F would be heading to India in the year 2015. Now that the bike has already started reaching the Honda dealerships it means we can assume the launch date to be few weeks away from today. The wanna-be customers shall soon be able to book this bike at the premium distribution format which is set up specifically for the upcoming CBR 650F, in 20 different cities across India. The all new Honda CBR650F would be powered by 649cc inline 4 cylinder liquid cooled engine which delivers a maximum 87 bhp of power at 11000 rpm and 63 Newton metres of torque at 8000 rpm. Honda CBR650F’s engine is going to be mated with 6 speed gearbox. The Honda CBR650F in India shall potentially lock horns with its competitor Kawasaki Ninja 650 and new Benelli TNT600 GT. HMSI is planning to sell this powerhouse Honda CBR650F at a price of Rs 8 lakhs (ex-showroom). 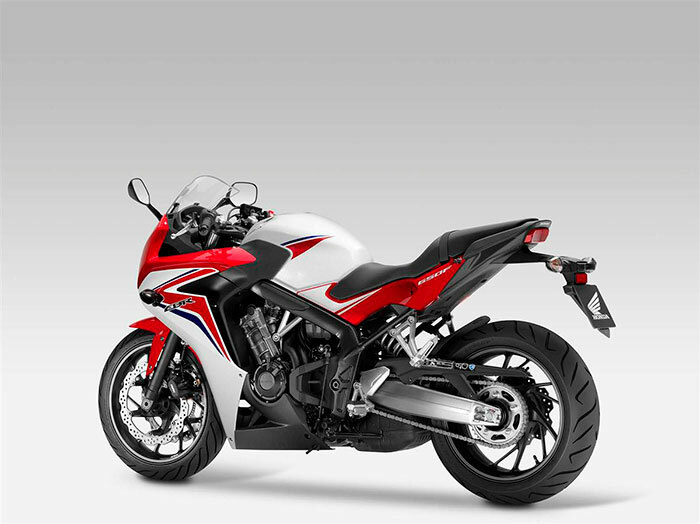 Seems like the amazing engineering team at Honda has done all homework to find many buyers for CBR 650F. Having said that the in price sensitive market like India, Honda should probably rework a bit on their pricing strategy to target wider 2 wheeler audience. Have something to say about Honda CBR650F? Please do comment below. Also read: Honda to Assemble CBR 650 in India and Honda’s new Teaser for upcoming bike.